On Thursday the 2012 World Series of Poker Main Event will see all of the starting fields combined for the very first time as the tournament heads into Day 3. A total of 1,753 players from the starting field of 6,598 runners have managed to make Day 3 of the WSOP Main Event, but the tournament is still a long way from the money bubble, which is set to burst at 666 players. The field still has a number of notable names vying for the most prestigious title in poker (WSOP Main Event Champion) including poker superstars like Daniel Negreanu, Vanessa Selbst, and recent Big One for One Drop winner Antonio Esfandiari. Other players will have to wait for the 2013 WSOP to make their Main Event dreams come true, as Doyle Brunson, Phil Hellmuth, and Phil Ivey have all been eliminated from the tournament. The overall chip-leader heading into Day 3 is Frenchwoman Gaelle Baumann who accumulated a very impressive stack during her Day 1 and Day 2 flight, and heads into Day 3 as the only player above 500k chips. There are also a number of well-known poker pros towards the top of the chip-counts including online legends Shaun Deeb and Taylor Paur, as well as Team PokerStars Pro Vanessa Selbst and 2011 November Niner Sam Holden. The total prize-pool for the 2012 WSOP Main Event reached $62,021,200 and will see the winner of the Main Event walk away with over $8.5 million. In all, seven players will cash for seven-figures in the 2012 Main Event, while a min-cash will pay $19,227 this year (so pencil Allen Kessler in for a 660th place finish for $19k!). 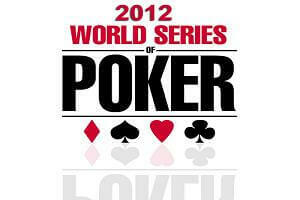 The WSOP Main Event will resume at Noon Vegas-time at the Rio, and five more levels are on the schedule Thursday. The money bubble ‘could’ burst on Thursday, but more likely players will have to wait until Day 4 on Friday to see if their efforts in the 2012 WSOP Main Event are going to rewarded.